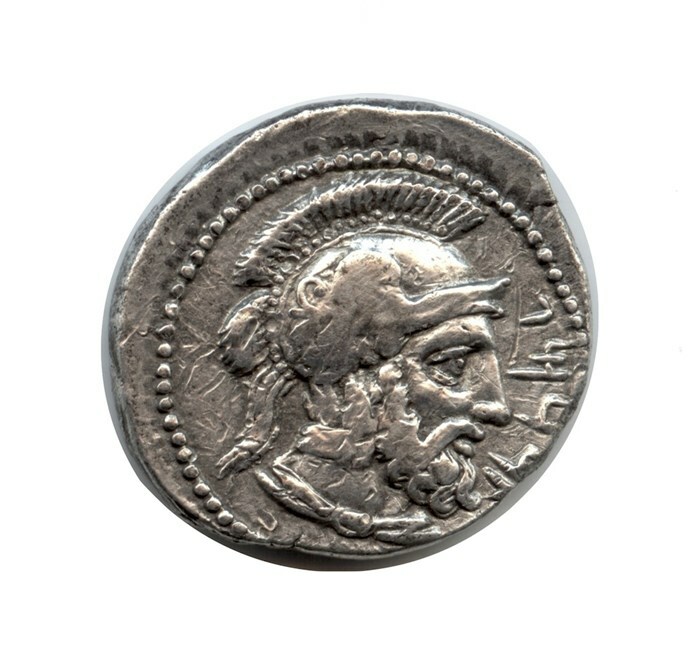 Ariana Coins | Greek & Related | GREEK | ACGR-01 Cilicia, Tarsos. Tarkumuwa (Datames). Satrap of Cilicia and Cappadocia, AR Stater. Home > Greek & Related > GREEK > ACGR-01 Cilicia, Tarsos. Tarkumuwa (Datames). 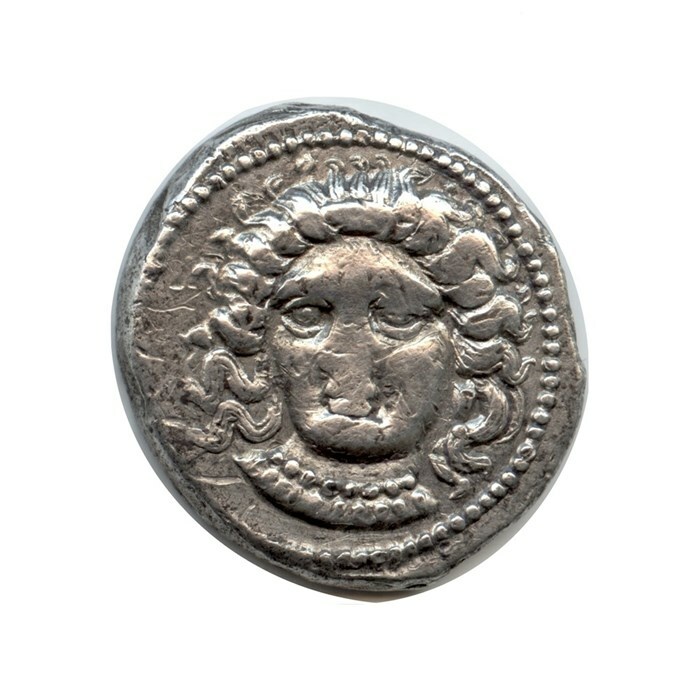 Satrap of Cilicia and Cappadocia, AR Stater. ACGR-01 Cilicia, Tarsos. Tarkumuwa (Datames). Satrap of Cilicia and Cappadocia, AR Stater. Cilicia, Tarsos. Tarkumuwa (Datames). Satrap of Cilicia and Cappadocia, 384-361/0 BC. AR Stater. 23mm, 10.58gm. Tarsos mint. Struck circa 380 BC. Female head facing slightly left, hair in ampyx, wearing necklace / Bearded male head (of Ares?) right, wearing crested Attic helmet, letter in exergue in right. Casabonne series 1, Moysey issue 4, SNG France 258-70, SNG Levante 79. Sunrise 49. Good VF.